Body Bare Shaver Package Reviews. Kit includes the body bare shaver, travel case, instruction manual, and a cleaning brush. Also includes 4 stencils, a replacement blade set, shaving and maintenance kit, shaving power, and a powder application brush. Pretty much everything you would need for shaving your most intimate areas of your body. Includes a 2 year manufacturers warranty. 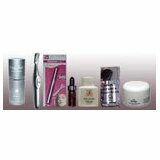 Package includes the feminine trimmer, battery operated body bare shaver, and the Ladyfair trimmer. Buying this package deal will save you considerable savings over purchasing these items separately. The shaver will not irritate or leave red bumps on your sensitive skin either on the inside or the outside of your bikini line. Everything you need to shave your sensitive areas and that is needed to maintain your shavers in top notch condition for long term use. If you are looking for the perfect birthday or holiday gift, this is it. 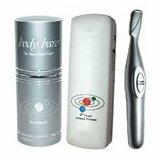 It is a beginners package that comes with all the items you will need for shaving those sensitive and hidden areas of your body. Includes the battery operated shaver, Ladyfair trimmer with a cleaning brush, and the feminine trimmer with travel case, brush and battery. Plus you get a jar of razor bump preventer. The perfect gift for someone you love or for yourself. 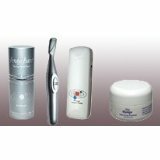 This is the Micro combo package that includes the battery operated micro trimmer and the personal Body Bare Shaver. Use for removing hair in all of those personal and intimate parts of your body. You can use this for shaving fine pubic hair, shaping eyebrows, arm hair, facial peach fuzz, upper lip, ears, and even fine testicle hair. Teeth are very small and located close together so that there is almost no chance of getting nicked or cut while shaving in those sensitive areas of your body. Can also be used with pubic shaving stencils. 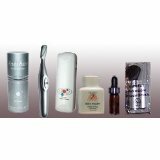 This is a kit for men designed for those personal areas of the body. Includes everything needed for a man to get a close, smooth shave with irritation or bumps. Personal shaving kit includes a feminine trimmer, Body Bare shaver, powder, razor oil, batteries, shaving stencils, application brush, and a velour pouch to carry it all. This shaver is a 2nd generation rechargeable intimate area razor with a rotary head specifically designed for those of you who want to keep your privates bare. This is a dry razor meant to be used for dry shaving only. 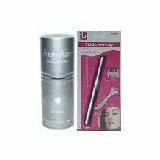 Unit has a solid aluminum frame with an aluminum cap for protection of the shaving foil. You get even closer and quicker shaves with this second generation model as the foil is thinner than before. Will not bite your testicles or pubic area. To be used as a daily shaver on hair that has been trimmed down to stubble or fuzz. Not meant to be used on longer hair. You will need to trim longer hair down to a stubble before using this shaver. For use by men and women. Must be used with baby powder or talcum powder as it is a dry shaver. Combination Pubic hair shaver triple combo and bikini line trimmer as a package deal meant to save you money. Purchased separately would cost you much more. Kit includes shaver, trimmer, travel case, cleaning brush, and instructions. Includes a one year manufacturers guarantee against defects on the trimmers and two years on the Body Bare Shaver. Save money by buying this combo kit that includes everything needed for personal shaving for both of you. Get his and hers shavers and trimmers for those private areas you both have.